Zenport Z206 Heavy Duty Professional Pruner, 7-Inch, Chrome Plated. Japanese style, chrome-plated pruner features an ergonomic design and is made of top grade carbon steel. 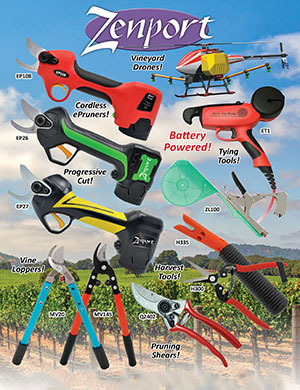 Tough wishbone spring and non-slip grips facilitate hours of extended use by horticulture professionals. 7" long.